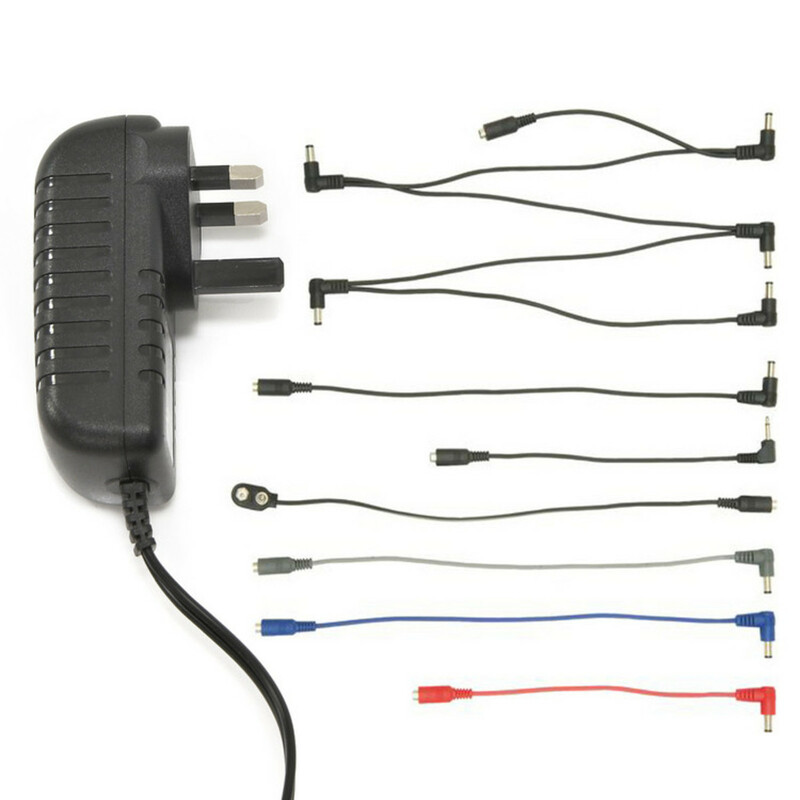 The Carl Martin Powerjack is a universal power supply for guitar effects pedals. Employing switch-mode technology, it can be used from 100V to 240V and delivers 1670mA of stabilised 9V DC power at any voltage. The Powerjack includes a daisychain cable with five 2.1mm jacks (barrel positive, tip negative), plus six different plug adaptors to fit different pedals.